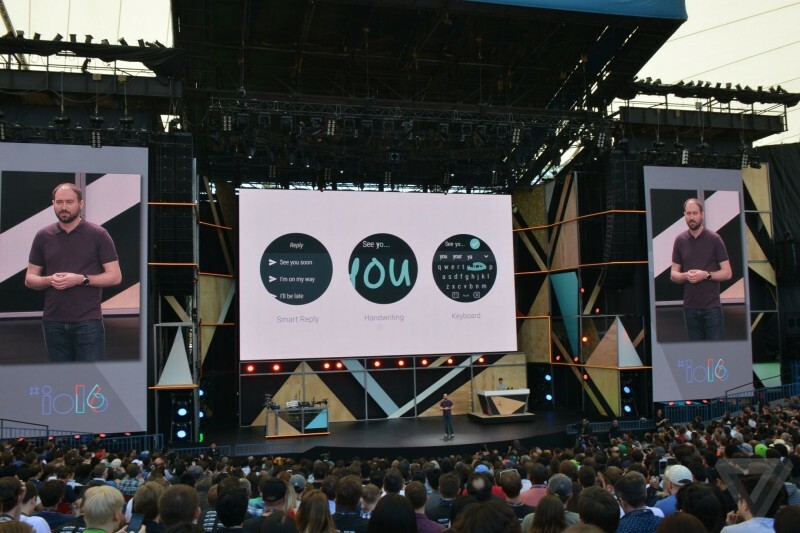 Google hosted its annual I/O developers keynote at the Shoreline Amphitheatre in Mountain View, California today, announcing multiple new products and services related to Android, search, messaging, home automation, and more. 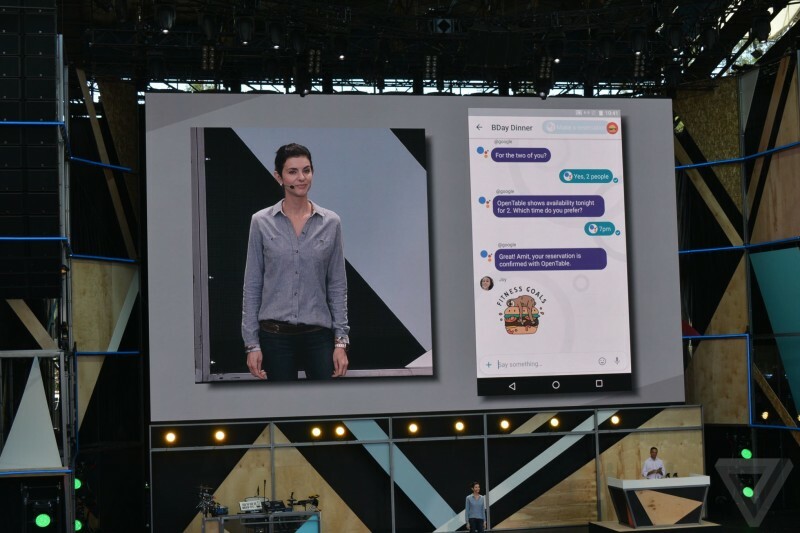 Google Assistant is described as a "conversational assistant" that builds upon Google Now based on two-way dialog. The tool can be used, for example, to ask who directed the movie Avatar, and to ask which other movies he has directed, and Google should be able to isolate the questions from the conversation and provide answers. The new Siri and Alexa rival, compatible with both voice and chat, will be widely available on Android, iOS, in the home, and elsewhere later this year. Google Home is a new Wi-Fi-enabled personal assistant device for the home that enables people to ask Google search queries, manage everyday tasks, enjoy music and entertainment, and more using hands-free "OK Google" voice commands. The Amazon Echo rival features a clean, color-changing design with no buttons, a speaker on the bottom, multiple room support, remote control of Chromecast and other speakers, compatibility with Nest and other popular home automation platforms, and more. Google Home can be used to make general searches, check flight statuses, track shipments, set dinner reservations, turn on lights or play music in certain rooms, receive real-time traffic and routing information, check your appointments, and more. 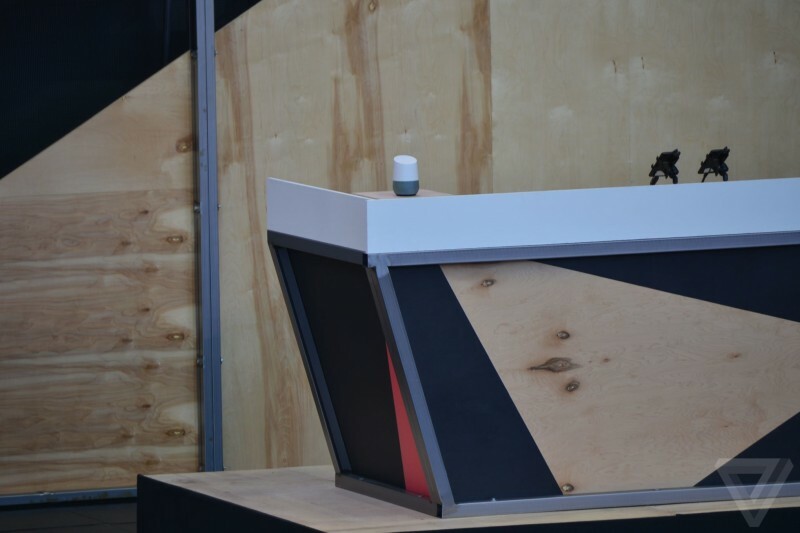 Google Home will be available later this year. Pricing was not disclosed. Allo is a new intelligent messaging app for Android and iOS, based on machine learning, computer visioning, and assistive technologies. The app integrates with your phone number and features resizable message bubbles, emojis and stickers, smart reply suggestions for messages and photos, mini games, and more. There is also an Incognito Mode with end-to-end encryption, Snapchat-like expiring messages, and private notifications. 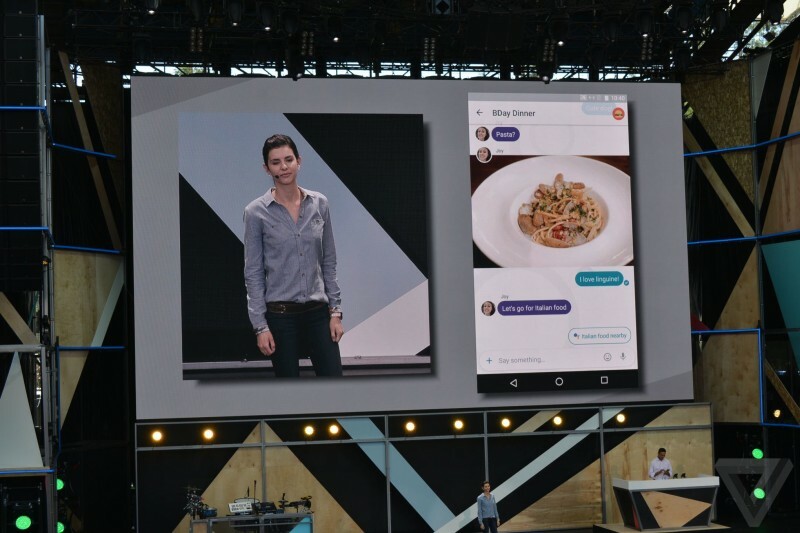 Allo also features Google Assistant built in, which can provide proactive suggestions such as nearby restaurants and sports results based on Knowledge Graph results. The suggestions will appear automatically based on the context of the conversation. OpenTable and YouTube will be two of many linked services. Allo will be available this summer. 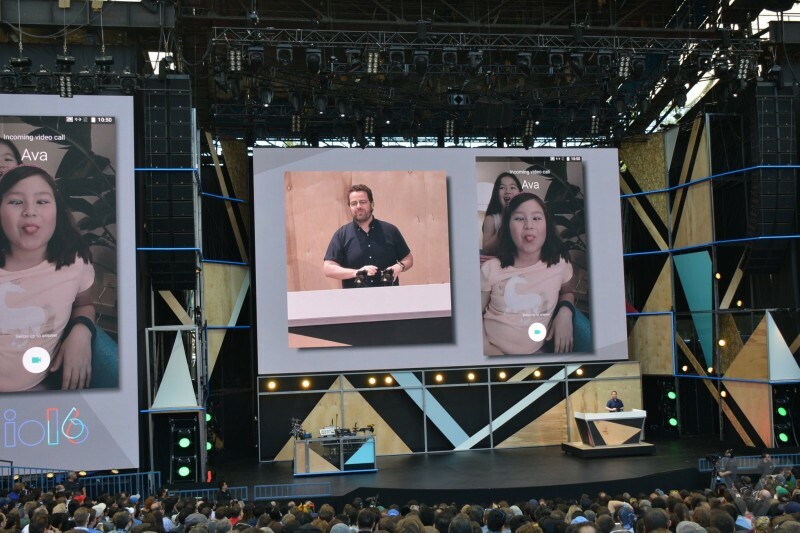 Duo is a standalone FaceTime-like HD video calling app for Android and iOS with a "Knock Knock" feature that shows live video of the other caller before answering. The app features a clean user interface, encrypted video transmission, and proactive network quality monitoring with seamless switching between Wi-Fi and cellular data. Duo will be available this summer. Android N was announced prior to Google I/O, so today's keynote mainly provided a recap of new features and security enhancements. 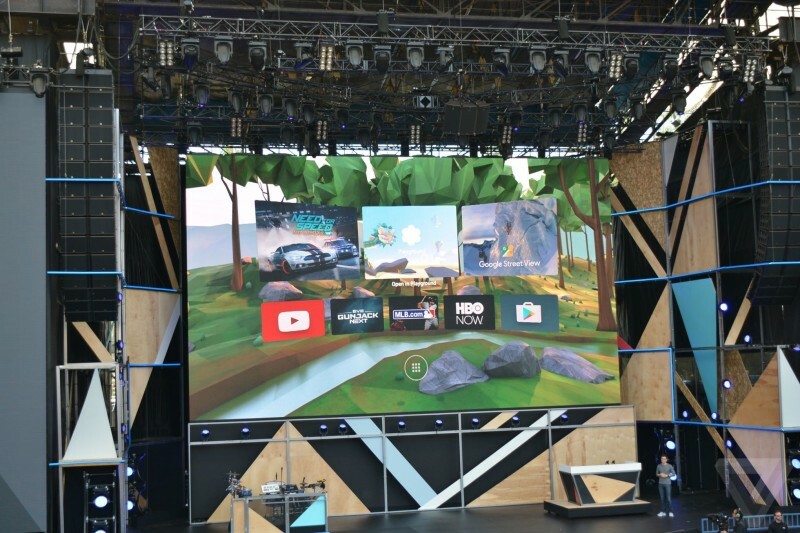 One all-new feature Google announced today is a new VR platform called Daydream, allowing for high-quality VR experiences on smartphones this fall. "Daydream-ready" smartphones from Samsung, HTC, LG, Huawei, and others running Android N will feature a new VR mode that is optimized for VR viewers. Google is also accepting submissions for what to call Android N. Past versions have been based on desserts such as Marshmallow, Lollipop, KitKat, Jelly Bean, and Ice Cream Sandwich, and it appears likely that trend will continue. The name unsurprisingly must start with the letter N. Google will accept submissions until June 8, 2016 at 11:59 p.m. Pacific Time. Google unveiled a major new version of its wearable software platform today. Android Wear 2.0 will feature standalone apps, smart reply suggestions, improved handwriting recognition, a miniature swipe-based keyboard, customizable watch faces, Google Fit integration, and more. Android Wear 2.0 launches in developer beta today, followed by a public release this fall. Google leaving Apple services in the dust. I have to say it was a hugely disappointing keynote. Very little of substance or interest to me. I'm not sure where Google is going atm, they seem lost without direction. Oh man.. The paper-launches by google every year get more and more impressive. Google: "Look at this amazing array of prototypes we've created. We're really good idea guys. It won't really improve your life when we release it. It'll improve your life once all the developers magically create software that we hope they'll make that we're depicting in our pretty colorful slides! They'll also shine once you guys finish these and beta test these for us. P.S. Don't our paper-launches demo really well?!! We always love daydreaming here at Google, so long as it's other people who actually release a finished, polished product." One must keep in mind that these "free" services being given away by Google are not really free. Every microsecond that people spend using at least one Google service is an opportunity for them to collect more data. Combined with their research and advances into machine learning, which could act on that very data, and the future is looking to be a very interesting (and possibly scary) place. Apple's more conservative approach to their platforms and data handling may indeed win out in the long run. We'll have to see. Google is setting the bar high for Apple at WWDC. Siri needs to take a leap forward this year. Integration with AppleWatch and AppleTV could bring the benefits of a home assistant without the need for a separate device. I'd like to be able to lift my wrist and ask Siri: "Show me my calendar on my AppleTV" or "Play Beats 1 in the Living Room". An updated AppleTV with a mic built in could also respond to Hey Siri from across the room. Apple has the pieces of the puzzle. They need to put it together. Macrumors comment section is awesome. Apple announces news, nothing but vitriol. 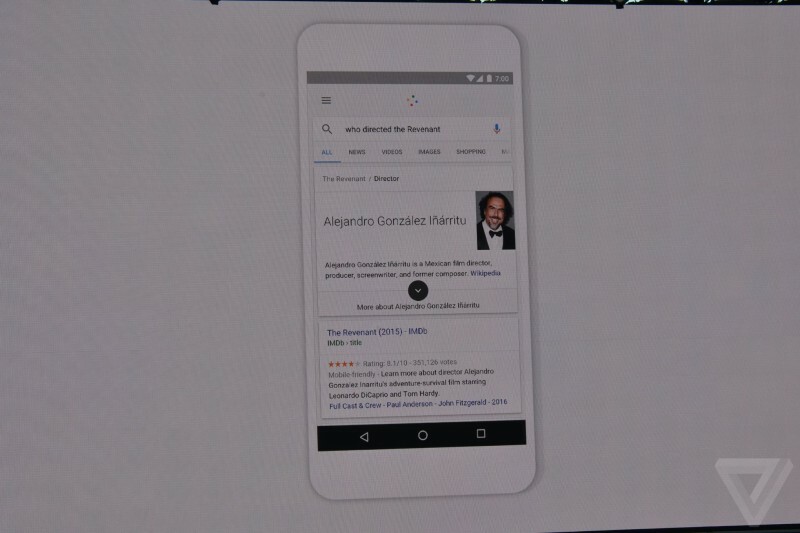 Google makes some pretty boring announcements, everyone is getting in line to give Sergey Brin a reach-around. On a Mac forum. Good stuff. I thought tech is supposed to make things easier.....I'm feeling exhausted with bells and whistles. Google leaving Apple in the dust! Tim Cook is too busy pandering to communist China to actually innovate! Cook is is busy in India trying to save the company instead of innovating like Google! Apple spent too much time on watch bands to innovate! Cook is going to be fired! Steve Jobs would have never let this happen! Switching to Android and Google services! Apple is too busy wasting time on an electric car to innovate! Was a little underwhelmed with their announcements. Another messaging and video calling app? Google Home looks cool, nothing really new on the Android N front, VR is cool. Was expecting a little more. What Apple presents at WWDC will probably determine what my next phone is.